It looks like the plastic bottle is here to stay, despite publicity about bisphenol A and other chemicals that may leach into liquids inside the bottle. Plastic bottles (the kind that had been used for some kind of consumer product) are the feedstock for what is known as “post-consumer recycled polyester”. Even though plastic recycling appears to fall far short of its promise, recycled polyester, also called rPET, is now accepted as a “sustainable” product in the textile market, because it’s a message that can be easily understood by consumers – and polyester is much cheaper than natural fibers. So manufacturers, in their own best interest, have promoted “recycled polyester” as the sustainable wonder fabric, which has achieved pride of place as a green textile option in interiors. We have already posted blogs about plastics (especially recycled plastics) last year ( to read them, click here, here or here ) so you know where we stand on the use of plastics in fabrics. All in all, plastic recycling is not what it’s touted to be. Even if recycled under the best of conditions, a plastic bottle or margarine tub will probably have only one additional life. Since it can’t be made into another food container, your Snapple bottle will become a “durable good,” such as carpet or fiberfill for a jacket. Your milk bottle will become a plastic toy or the outer casing on a cell phone. Those things, in turn, will eventually be thrown away. Even though the mantra has been “divert from the landfill”, what do they mean? Divert to where? But the reality is that polyester bottles exist, and recycling some of them into fiber seems to be a better use for the bottles than land filling them. Recycled post consumer polyester is made from bottles – which have been collected, sorted by hand, and then melted down and formed into chips (sometimes called flakes). These chips or flakes are then sent to the yarn spinning mills, where they’re melted down, often mixed with virgin polyester, and and spun into yarn, which is why you’ll often see a fabric that claims it’s made of 30% post consumer polyester and 70% virgin polyester, for example. But today the supply chains for recycled polyester are not transparent, and if we are told that the resin chips we’re using to spin fibers are made from bottles – or from industrial scrap or old fleece jackets – we have no way to verify that. Once the polymers are at the melt stage, it’s impossible to tell where they came from. 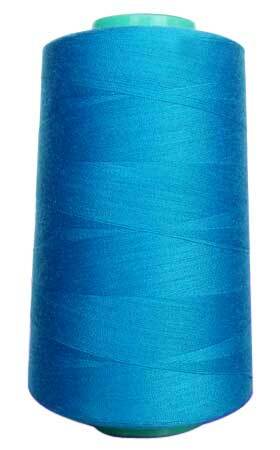 So the yarn/fabric could be virgin polyester or it could be recycled. Many so called “recycled” polyester yarns may not really be from recycled sources at all because – you guessed it! – the process of recycling is much more expensive than using virgin polyester. Unfortunately not all companies are willing to pay the price to offer a real green product, but they sure do want to take advantage of the perception of green. So when you see a label that says a fabric is made from 50% polyester and 50% recycled polyester – well, (until now) there was absolutely no way to tell if that was true. Along with the fact that whether what you’re buying is really made from recycled yarns – or not – most people don’t pay any attention to the processing of the fibers. Let’s just assume, for argument’s sake, that the fabric (which is identified as being made of 100% recycled polyester) is really made from recycled polyester. But unless they tell you specifically otherwise, it is processed conventionally. What does that mean? It can be assumed that the chemicals used in processing – the optical brighteners, texturizers, dyes, softeners, detergents, bleaches and all others – probably contain some of the chemicals which have been found to be harmful to living things. In fact the chemicals used, if not optimized, may very well contain the same heavy metals, AZO dyestuffs and/or finish chemicals that have been proven to cause much human suffering. It’s widely thought that water use needed to recycle polyester is low, but who’s looking to see that this is true? The weaving, however, uses the same amount of water (about 500 gallons to produce 25 yards of upholstery weight fabric) – so the wastewater is probably expelled without treatment, adding to our pollution burden. And it’s widely touted that recycling polyester uses just 30 – 50% of the energy needed to make virgin polyester – but is that true in every case? There is no guarantee that the workers who produce the fabric are being paid a fair wage – or even that they are working in safe conditions. The base color of the recyled chips varies from white to creamy yellow. This makes it difficult to get consistent dyelots, especially for pale shades, necessitating more dyestuffs. PVC is often used in PET labels and wrappers and adhesives. If the wrappers and labels from the bottles used in the post-consumer chips had not been properly removed and washed, PVC may be introduced into the polymer. As the size of the recycled polyester market grows, we think the integrity of the sustainability claims for polyesters will become increasingly important. 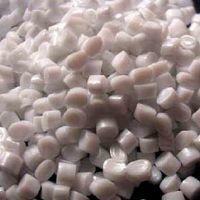 There has not been the same level of traceability for polyesters as there is for organically labeled products. According to Ecotextile News, this is due (at least in part) to lack of import legislation for recycled goods. One solution, suggested by Ecotextile News, is to create a tracking system that follows the raw material through to the final product. This would be very labor intensive and would require a lot of monitoring, all of which adds to the cost of production – and don’t forget, recycled polyester now is fashion’s darling because it’s so cheap, so those manufacturer’s wouldn’t be expected to increase costs. There are also private standards which have begun to pop up, in an effort to differentiate their brands. One fiber supplier which has gone the private standard route is Unifi. Repreve™ is the name of Unifi’s recycled polyester – the company produces recycled polyester yarns, and (at least for the filament yarns) they have Scientific Certification Systems certify that Repreve™ yarns are made with 100% recycled content. Unifi’s “fiberprint” technology audits orders across the supply chain to verify that if Repreve is in a product it’s present in the amounts claimed. But there are still many unanswered questions (because they’re considered “proprietary information” by Unifi) so the process is not transparent. There is an extensive section related to worker’s rights. Bronze standard – products have a minimum of 30 percent recycled content. I have long been concerned about the rampant acceptance of recycled polyester as a green choice when no mention has been made of processing chemicals, water treatment or workers rights, so we welcome this new GRS certification, which allows us to be more aware of what we’re really buying when we try to “do good”. If you agree with me that a third party certification is a way to give us the most unbiased, substantive information about the environmental performance of a fabric, let’s look at third party certifications which are on the market and which test finished textiles. It’s important to know what each certification is telling us, both to keep our frustration levels manageable and to be able to extract useful, trustworthy information. But before we get to individual certifications, there are several issues that are unique to fabrics, which we should mention first. The first issue has to do with the fact that people often think about what the fabric is made of and totally forget the long and complex process that has to happen to turn the raw material into a soft, smooth finished fabric – I mean, really, do you actually think that the cotton boll which you see in the picture is transformed into your blouse without some kind of serious work? What about oil? Think of crude oil and your new sheets – what do you think has to have happened to that crude to make it acceptable for your bedroom? The market is absolutely rife with claims about organic cotton – and believe me, I have absolutely nothing against organic cotton. But the focus (by marketers and consumers alike) is that if it’s made of organic cotton, then the product is sustainable. That’s far from the truth. We like to use the analogy of “organic applesauce” – that is, if you take organic apples, then cook them with preservatives, emulsifiers, Red Dye #2, stabilizers and any number of other additives – do you end up with organic applesauce? Just like bread – which is made from wheat which is grown (maybe organically), harvested, ground into flour, mixed with milk, yeast, salt and maybe other things, then baked – fabric undergoes the same type of transformation. So the certifications which are often found on fabrics may only pertain to the FIBER, and not to the processing. What they mean is the fabric started out with organic fibers – but the processing, like the organic applesauce mentioned above, results in fabric that contains a high proportion, by weight, of synthetic chemicals (such as lead or mercury, formaldehyde, chlorine, or phthalates). So if only the fiber is certified, you can assume that the chemicals used in processing may contain some of the highly toxic chemicals usually found in solvents, dyestuffs, and finishes. And you can assume that the excess chemicals were released in the effluent and are now circulating in our groundwater. Nor is any mention made of fair wages and safe working conditions. In other words, a fabric made with “organic cotton”, if processed conventionally, is full of chemicals which may be prohibited in a truly organic fabric and which are known to cause all kinds of bad things to human bodies (especially really little bodies), and those harmful chemicals, released in untreated effluent, are now contributing to our own chemical body burden. Besides the proliferation of certifications, further muddying of the waters happens because the textile supply chain is one of the most complex in all of industry – and some of the certification agencies can certify each step in the process. In other words, each end product can be certified. So if we deconstruct a piece of fabric, it’s possible (indeed necessary to certify the final product) to have certification at each stage: (1) growing and harvesting of organic fibers (2) ginning or other preparation of the fibers to make them suitable for use in spinning; (3) spinning of the fibers into yarns; (4) weaving of the yarns into fabric (5) dyeing and/or finishing and (6) final product (i.e., blouse, tablecloth, etc.). So it’s not unusual to find a GOTS certification logo on a product – because it’s hard to get, and those who have it certainly want to display the logo. But the certification may apply only to the organic fibers – the logo itself is not specific as to what is being certified. It’s quite common to find “organic cotton” fabrics in the market – in other words, fabrics made of organic fibers. But unless you do some probing, it’s common to find that the “organic” part pertains only to the fiber, while the fabric was made conventionally. 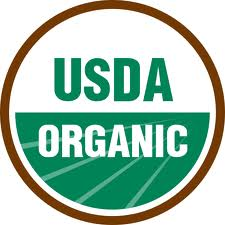 United States Department of Agriculture, National Organic Program (NOP): this logo certifies that the fiber is organic – only the fiber. According to a new Department of Agriculture memorandum dated May 20, 2011, textiles and textile products labeled as “organic” must be third-party certified, and all fibers identified as “organic” contained in the textile product must be certified organic to the NOP regulations. The policy memo confirms that textile products that are produced in accordance with the the Global Organic Textile Standard (GOTS) may be sold as ‘organic’ in the U.S. though they may not refer to NOP certification or carry the USDA organic seal. 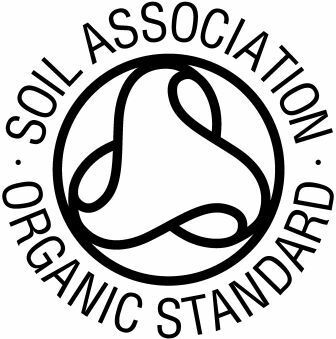 Soil Association Certification Limited (SA Certification) is the UK’s largest organic certification body. It’s also the only certification body linked to a committed charity, promoting organic food and farming. As a member of the Global Standard GmbH, the managing body of the Global Organic Textile Standard (GOTS), the Soil Association now uses the GOTS certification for all new textile products. OneCert: OneCert provides organic certification worldwide. Certification and inspection programs include the US National Organic Program (NOP), European Organic Regulations (EU 2092/91), Quebec Organic Standards (CAQ), Japan Agricultural Standards (JAS), IFOAM, and Bio Suisse. Services include organic certification, organic inspection, export certificates, transaction certificates, on-line record keeping, answers to certification questions, and presentations of organic topics. Peterson Control Union: Control Union is a global one-stop-shop for a range of services in all aspects of the logistics chain of many commodities, including certification programs. 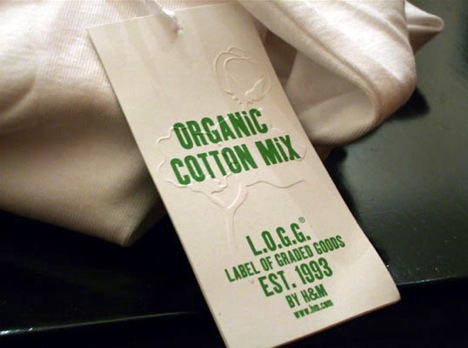 It certifies to the standards of The Global Organic Textile Standard (GOTS), and the Organic Exchange. The Institute for Marketcology (IMO): IMO is one of the first and most renowned international agencies for inspection, certification and quality assurance of eco-friendly products. IMO offers certification for organic production and handling according to the European Regulation (EU) Nr. 2092/91, GOTS, Organic Exchange and for The International Association of Natural Textile Industry, known as IVN. IVN is an alliance of more than 70 businesses involved at some level in the textile production chain, with the goal of countering abuses by having a clearly defined “ecologically oriented and socially accountable business practice.” If a company meets their standards they are awarded a quality seal, which is called Naturtextil IVN certified or certified Best. According to the IVN, GOTS is the minimum standard that distinguishes ecotextiles. Read more here. The third party certifications which we think every conscious consumer of fabric should be aware includes: Oeko-Tex, GOTS, C2C, GreenGuard, Global Recycle Standard and SMART. Each one has its own set of standards and we’ll take a look at them next week. A recent report in The Financial Times of Germany alleged that a ‘gigantic fraud’ was taking place in the sale of cotton garments marked as organic by leading European retailers like H&M, C&A and Tchibo, because they actually contained genetically modified (GM) cotton. GM cotton (often called Bt cotton in India) is prohibited in organic cotton. The source of fabrics, it said, was India. Interestingly, the paper quoted Sanjay Dave, director of Apeda (Indian Agricultural and Processed Food Products Export Development Authority), as saying that the fraud was on a large-scale and that two European certifying agencies had been fined for lax processes. Lothar Kruse, director of the laboratory which ran the tests, was quoted as saying that around 30% of organic cotton samples from India were found to be contaminated with GM cotton. There were charges and countercharges by all involved – and Indian organic cotton has become suspect. How did this happen? In August, 2009, the Indian Ministry of Textiles took several initiatives to strengthen their textiles industry — among them was a commitment to “safeguard and promote” organic cotton. Organic cotton had become an important crop in India: according to the Organic Exchange, India accounted for about 65% of all the organic cotton produced worldwide in 2008-09, making India the No.1 producer of organic cotton in the world. And since the global market for organic cotton is growing by as much as 150 per cent per year (based on 2008-09 figures) its make sense for India to support organic cotton where it is already a market leader in a product for which an assured market exists and is growing. And yet at the same time, the Indian government (through the Department of Biotechnology of the Ministry of Science and Technology) is supporting and promoting genetically modified cotton. India allowed the commercial cultivation of genetically modified (GM) cotton in 2002, and by 2006, GM cotton accounted for 42% of the total Indian cotton crop. This makes India the country with the largest area of GM cotton in the world, surpassing China. According to Reuters, Indian farmers will grow genetically modified cotton on 90 % of the area under cotton cultivation by 2012. See our blog posts on GMO crops: Reasons for concern regarding GMOs and GMO Cotton. Organic cotton and genetically engineered cotton are mutually self-excluding commodities – organic cotton prohibits the inclusion of any genetically engineered cotton. So the Indian government is bumbling in two contradictory directions at the same time. There have been warnings from opponents of genetically engineered crops that if GM cotton were to contaminate traces of organic cotton, the consignments of organic cotton would lose the certification that gets them a premium price advantage and be rejected by markets interested in buying organic cotton. Organizations such as Gene Watch (UK) and Greenpeace have warned that it is impossible to keep agricultural produce like cotton or rice or strawberries apart once they are ready for the market. These organizations also maintain a register of instances where genetically engineered crops have contaminated conventional or organic crops. The contamination cases run into hundreds across the world, often with grave economic consequences. Not so long ago, consignments of US rice exported to several countries had to be recalled because traces of GM rice was found in rice that was declared as conventional, non GM rice. The cost of recall was prohibitive but the greater damage was done to America’s future rice exports. Once countries returned the contaminated US rice, other rice exporting nations like Thailand entered the newly available markets in Europe, Japan and South Korea and established themselves there. This casts a cloud over all exports of organic products from India, of which cotton is the leading item. But in all this uproar, who is losing the most? Once again it’s the small farmer in India. The African proverb that when two elephants fight, it’s the grass that suffers, is certainly true in this case. A bit of history: The Indian government, in a desperate bid to promote the uptake of GM seeds, banned traditional seed varieties from many government seed banks in 2002 and allowed Monsanto to sell their new seed creations. In return for this access, India was granted International Monetary Fund loans. Because the family livelihood of Indian farmers depends entirely on good decisions being made, they often seek advice or take a lead from someone she/he thinks knows best. The average farmer is illiterate and ignorant of the implications of planting a GM crop, but lives in the hope that money borrowed to produce a cash crop will be more than repaid after a good harvest. Monsanto began advertising the new GM seed heavily; it was pervasive, with utterly misleading claims, emanating from celebrities, government officials, journalists, agricultural and corporate scientists, larger landowners and seed dealers who had either jumped on the media bandwagon or had vested interests in GM cotton sales. Bollywood personalities such as Nana Patekar attributed almost miraculous powers to the product on TV. Punjab Chief Minister Amrinder Singh personally endorsed the Bollgard brand (one of Monsanto’s GM seed varieties sold in India). Local opinion leaders such as larger landowners received seed and pesticide discounted or free, and ‘poor farmers’ who extolled the virtues of GM cotton locally turned out not to be farmers at all. In the past, if a crop failed, the farmer could use his seed from prior years to replant his crop. But with GM seeds they could not do this, because the seeds contain “terminator technology” meaning that the crops do not produce viable seeds of their own. So farmers must buy seeds each year – at punitive prices: GM seed costs about $15 for 4 ounces of seed, compared to $15 for 4,000 ounces of traditional seeds. Farmers are also desperate to avoid the spiraling cost of pesticides, and were taken in by GM cotton advertising and Monsanto’s extravagant claims. For example, at the point of sale, when farmers are vulnerable, seed dealers hyped up the yield of a hypothetical farmer’s GM cotton (based on Monsanto claims that yields are 30 – 40% higher than conventional hybrid seed) because the seed dealers profit is four times greater per drum than for non GM seed. In addition, Monsanto claims pesticide use will be 70% less because their Bollgard variety is supposed to kill 90% of bollworms. This perfect storm led to widespread adoption of GM seeds by Indian farmers. But the promises made by Monsanto have proven to be false over time: GM cotton required double the amount of water that non GM varieties required (proving to be a matter of life and death for many), many crops have been devastated by bollworms and there have been widespread crop failures. (read more here ). Farmers, beguiled by promises, incurred debts that they could not repay. Thousands of farmers, according to the Mail Online in November, 2008, “are committing suicide”. The crisis, branded the ‘GM Genocide’ by campaigners, was highlighted recently when Prince Charles claimed that the issue of GM had become a ‘global moral question’ – and condemned ‘the truly appalling and tragic rate of small farmer suicides in India, stemming… from the failure of many GM crop varieties’. Many organizations have been trying to convert Indian farmers to organic practices – “desperate times call for organic measures”. The fact that farmers don’t have to spend money on pesticides and fertilizers coupled with the premium of 15 – 20% over conventional cotton that organic cotton commands in the marketplace has helped convince many farmers that organic agriculture is worth a try. Yet now organic cotton from India has been reported to be contaminated with GM cotton, leading many to cry fraud. This was not unforeseen: drift or contamination of GM with non-GM crops has long been a concern, especially now that 65-75% of total cotton production is made up of GM cotton. According to P. Gouri, adviser on organic products to Apeda, “measures to prevent contamination through strict implementation of a 50-meter refuge (buffer zones around farms growing GM cotton to prevent the pollens from contaminating neighboring farms) are absolutely essential. If GM farming practices are regulated strictly, we can keep contamination at manageable-levels, specially if farmers use non-cotton as a buffer.” Yet, there have been many violations of biosafety regulations; in addition there are no standards for the permissible amount of contamination in organic cotton. Nobody is addressing the problem of gene transfer to conventional plants; and a general disregard of separation distances between the GM and non-GM crop makes contamination a fait acompli . Similarly, there is a general lack of enforcement of 20 percent non-GM refugia, designed to slow the evolution of pest resistance. The several generations of bollworm that live annually on a crop can lead to 60 percent resistance in a single year. According to the Human Genome Project, the act of genetically modifying something like organic cotton has its own ripple effect from the potential environmental impacts of unintended transfer of trans genes through cross-pollination and unknown effects on other organisms (e.g., soil microbes), to the loss of flora and fauna biodiversity. 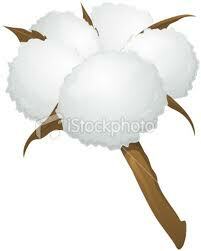 With no regulation of GM cotton, GM produce is entering our food and feed chain as cottonseed oil and cake. (Did you know that we eat more of the cotton crop than we wear?) Genetically engineered cotton has all kinds of stuff we’ve never eaten before: viral promoters, antibiotic-resistant genes, special bacteria. Organic food producers are very concerned. This problem will continue to grow as fourteen new GM varieties of India’s staple crops were approved for field trials that began in 2005. Currently, India and her customers rely on third party certifying agencies, such as Control Union, to substantiate organic claims. Certification is being done as per GOTS, or Global Organic Textile Standards, but India is formulating its own standards. The biggest innovation is TraceNet, a web-based traceability system that has been introduced in the country, to trace and track all organic certifications for exports to ensure purity. Inspectors employed by certification agencies will use GPS devices for capturing data so that wrong certifications are eliminated.